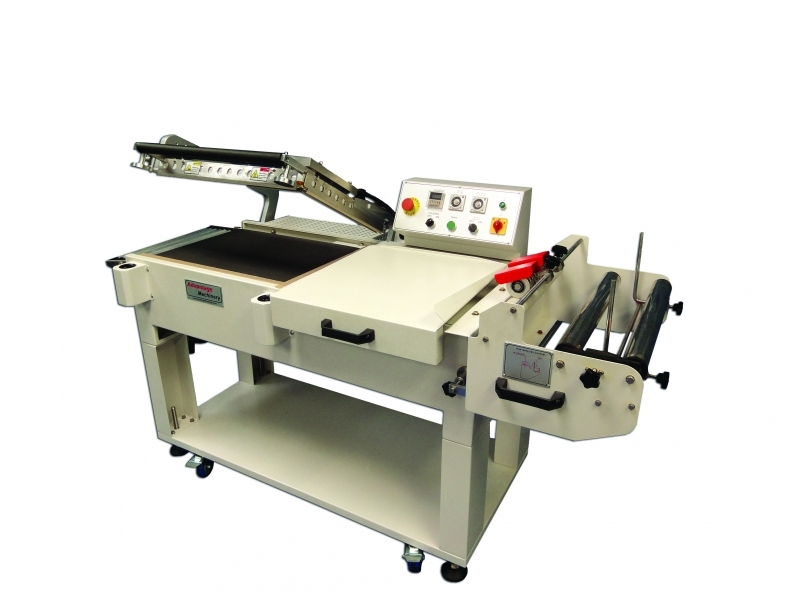 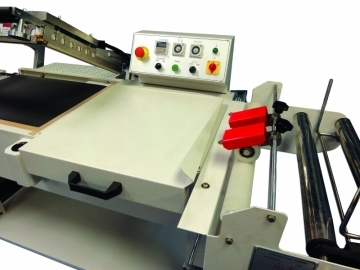 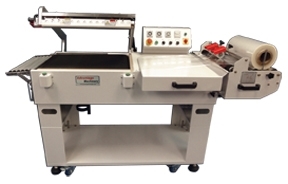 The 601A semi-automatic pneumatic L-Bar sealers that come in a wide range of sizes for all of your packaging needs. The product is fed manually with the film and the operator presses 2 buttons which activates a pneumatic cylinder to push the sealing bar down. 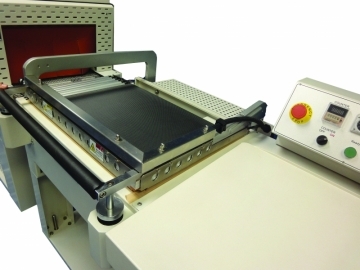 An automatic conveyor transports the sealed product into the shrink tunnel which allows the operator to have the next product ready for sealing. 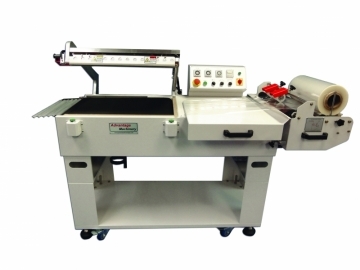 20 7/8" x 17 3/4"
64" x 29" x 42"